After two pressure-filled, life-changing years of professional exhaustion and personal turmoil, Anne Graham Lotz, daughter of evangelist Billy Graham, found herself with only one heart-cry, "please, just give me Jesus". In this book she stares at the realities of life with her saviour. 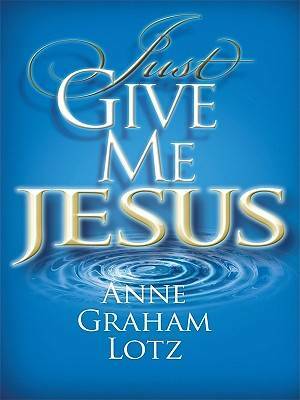 Just Give Me Jesus by Anne Graham Lotz was published by Cengage Learning, Inc in May 2009 and is our 44516th best seller. The ISBN for Just Give Me Jesus is 9781594152917. Be the first to review Just Give Me Jesus! Got a question? No problem! Just click here to ask us about Just Give Me Jesus.